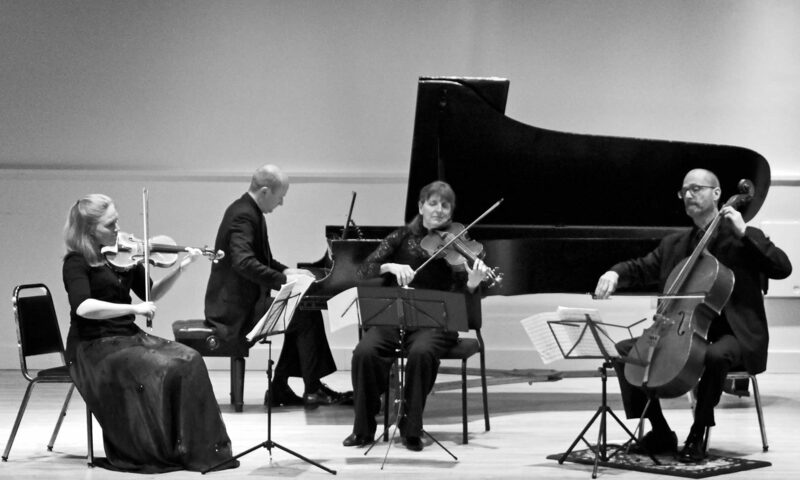 The Samara Piano Quartet was formed in the Summer of 2017 bringing together four established musicians who have dedicated their professional lives to chamber music. In their short time playing together, the quartet has performed at Keene State, Dartmouth and Marlboro Colleges and made their New York debut on Madison Avenue in October 2018. The Quartet are resident artists for Ashuelot Concerts, a non-profit based in Keene, New Hampshire who’s mission is to change lives through music. They regularly perform in Keene and have visited all 6 public schools with workshops designed to inspire the next generation. Future plans include two concerts at the new Highland Center for the Arts in Greensboro VT where they will also be offering a masterclass and lecture. The Quartet takes its name from the winged seeds produced by the abundant maple trees surrounding their rehearsal studio in Keene, New Hampshire. Paul Cohen, cello, studied cello with Fritz Magg and Janos Starker at Indiana University and began his professional career with the Atlanta Chamber Players in 1982 before joining the Apple Hill Chamber Players in New Hampshire in 1986.